They are made from 5,000# concrete and are factory-built in a single pour for strength and stability. With several locations in the U.S. to ship from, we’ll keep your freight costs down. And since most sizes are in stock, you won’t have to wait. Bulk storage tanks and concrete piers go together by necessity. So if you’re looking to buy a storage tank, you’re probably also looking for piers to go with it. Choose Alliance Truck & Tank as your one-stop shop for all your storage vessel and concrete tank pier needs. We’ll help you save both time and money! To find out more about our precast piers, tank and pier packages, installation info, or freight coordination services, give us a call or use the contact form on this page. 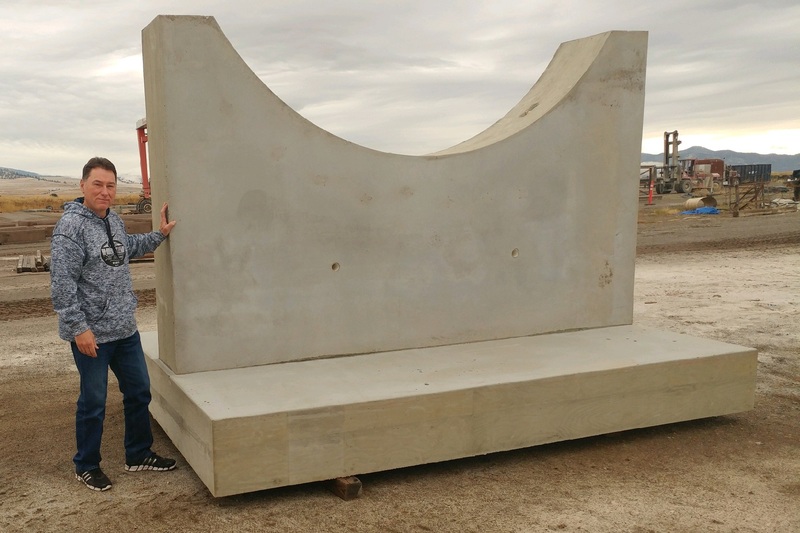 Alliance Truck and Tank is now offering JUMBO Precast Concrete Tank Piers. If you’re installing a bulk storage tank that exceeds 30,000 gallons, then you’re going to need tank supports that are built to handle the heavier load. 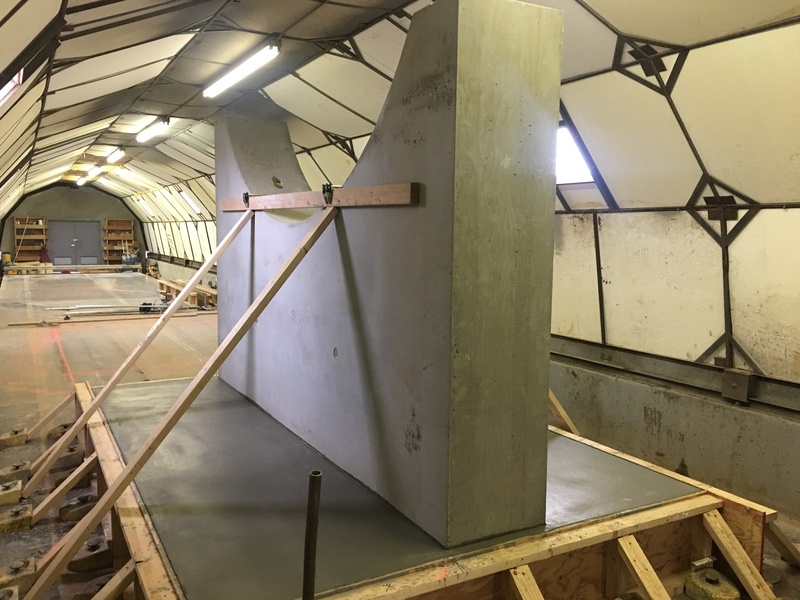 Most standard precast concrete tank piers are only designed to handle the weight of storage vessels up to 30,000 gallons. When installing a larger vessel, you’ll need JUMBO tank supports. Large propane storage vessels require concrete piers specifically designed to handle excessive loads. Our JUMBO precast concrete tank piers are designed per International Building Code (IBC), 2012 Ed. 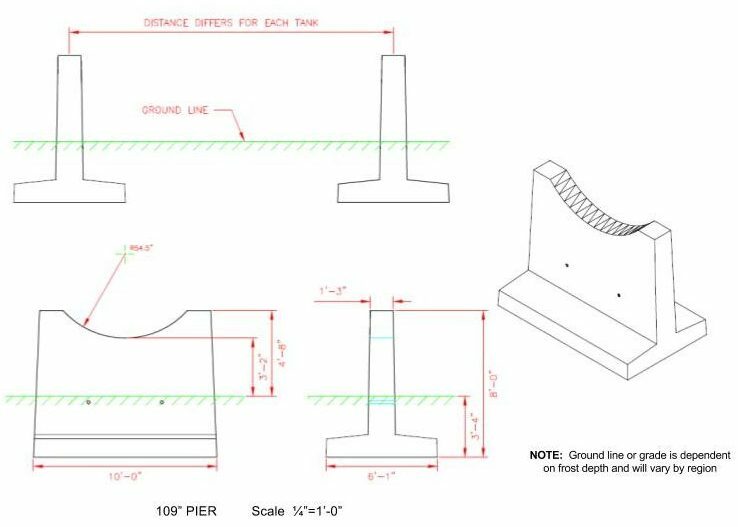 The design criteria accounts for tank loads, lateral loads such as wind and seismic, snow loads, and includes an allowable soil bearing pressure equal to 2000 PSF. We always recommend that a professional geotechnical engineer be hired to verify soil compaction and other related conditions prior to installation. JUMBO piers are ideal for 60,000 and 90,000 gallon storage vessels. If you don’t have time to pour-on-site, then call us today at 800-632-2038 and ask about our JUMBO precast piers. Freight coordination services are also available.